So Rita's announced their newest flavor about a week ago, which was blood orange, and it sounded interesting, until I saw that Texas is getting a Dr. Pepper flavored ice. Lucky Texas! I can't help be feel disappointed by comparison. I like blood orange, because I like all citrus juices and flavors, but I have a feeling that this water ice is more gimmick than anything else. Did Rita's really formulate a whole new flavor syrup for this item? Or did they just add red dye to their preexisting orange flavoring? Let's find out! 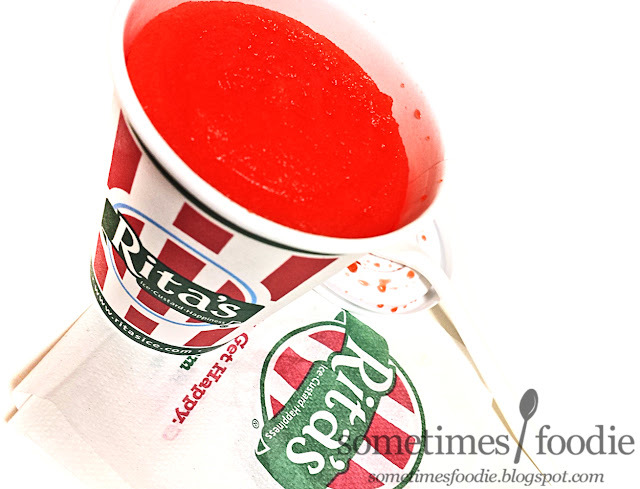 The packaging is standard for Rita's, so there's nothing to discuss design-wise. I'll just get right to the ice itself. Since my boss' daughter works at Rita's I received this tiny child-size ice as a gift while I was at work today. (THANK YOU) I had to use my cellphone at my desk to take these photos before it melted, so the images are a little rough. Most frozen desserts barely have a scent, but this is starting to melt, so I can kind of smell the sweetness from the base syrup. 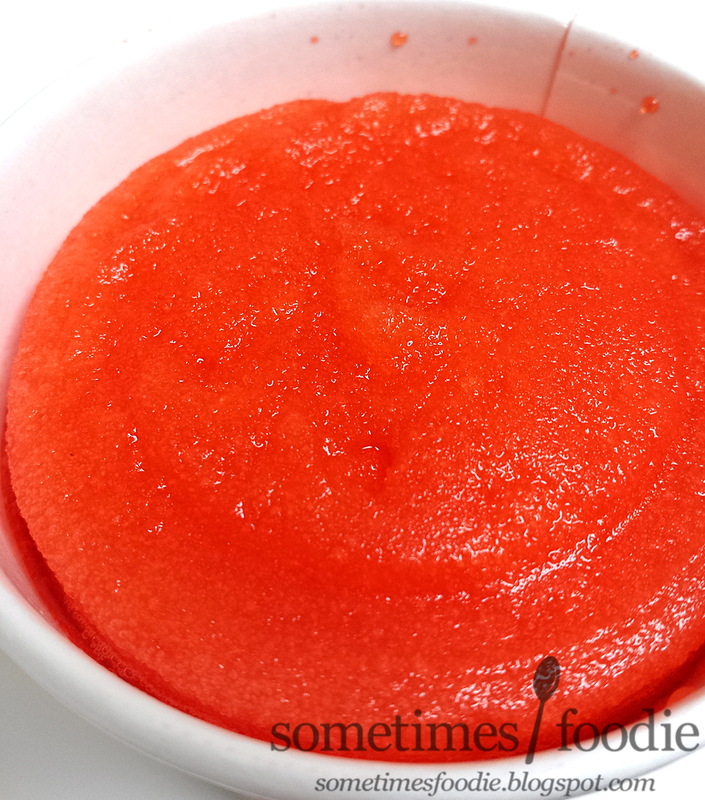 There's a slightly zesty aroma to this water ice, but it's pretty mild. Okay, better hurry up and eat this before it melts away into nothingness! This water ice tastes different from your typical orange, but it's not as authentically flavored as I would have liked. Even so, it was really refreshing and I think it's a great flavor for adults looking for something sweet, that's not as intensely sweet as the other fruity flavor options. If you like citrus fruits, this is something worth checking out, and I liked it, but I can't see anyone getting upset when it's gone. Also, I will be using this project runway gif for every blood orange related review ever!